NBC6 reporter Tony Pipitone has been trying to get to the bottom of a story I first reported on this blog back in March. 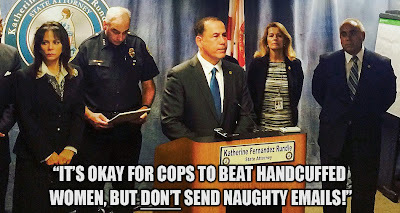 Back then, word started circulating in Miami Beach law enforcement circles that Mayor Philip Levine - aka Mayor Dickhead - had accosted the driver of a Coca Cola delivery truck double-parked on Washington Avenue, climbed into the truck's cab and taken the keys because he wanted the driver to wait for a police officer to arrive and give him a citation. Tonight, Pipitone aired the results of his investigation. Watch the video below as Pipitone tries repeatedly to get the Mayor to admit that he took the keys from the truck. We're stuck with Rick Scott. But hopefully Miami Beach voters will come to their senses and vote the self-serving piece of crap Philip Levine out of office in the not too distant future. Here's another in a series of Facebook posts from former CNN producer-turned Broward County Public Defender Kim Segal. Today she explains what happens to defendants who suffer from mental illness and who get caught up in the justice system. LIFE AS A PD: He won’t be able to tell you that I am his lawyer but he will likely be able to tell you that I am the person who gives him peanut-butter crackers every time he visits my office. This sweet quiet 22 year-old has a mental illness. Sam Marks doesn’t have a phone or a permanent address but some how he makes it to his numerous court appearances and office appointments. Sam has been in and out of court for over a year. His big crime: Trespass. On the evening of February 24, 2014 Sam was arrested for being found in the rear of a vacant property. Ever since that night Sam has been caught up in the criminal justice system. Dealing with mentally ill and intellectually disabled clients can be heart-wrenching thanks to the lack of support in the criminal justice system. It is so much harder on my clients since they are indigent and many lack insurance, support systems and a place to call home. The goal for the Public Defender’s Office is to get these people out of jail as soon as possible. The reason is obvious - jail is no place for a person with a mental disorder. The problem is that many Judges don’t want to release these clients when they don’t have a place to live. Without an income or insurance it is not easy to find housing for these people who unfortunately are stuck in a system that doesn't have the resources needed to deal with them. Even if we find a bed at one of the wonderful non-profits in the area there is no guarantee that our client will remain at that place. There are cases where the Court orders a person with mental illness to stay at a specific location, but the person wanders off. Sadly, back in jail is where they eventually turn up, arrested for violating conditions of their release or missing a court date. Too often a mentally ill person will spend weeks or months in jail over a petty offense such as trespass, working through this convoluted obstacle course the system forces them into, whereas a competent person would have ended their case after a few days of time served. There is a Mental Health Division in County Court. It is a therapeutic setting with therapists and access to special resources. The difference with the misdemeanor Mental Health Court is that the Judge has the discretion on which cases can stay in her division. A few weeks ago I tried to send another young man’s case to Mental Health Court but the Judge sent him back to regular court. I was told it was because of the charge, two counts of battery. I really don’t get it. It’s only a misdemeanor. The boy needed the help and access to the services that Mental Health Court is equipped to handle. Instead, the Judge decided not to keep the case and he was transferred back to my courtroom for us to try and figure out what to do— a courtroom that lacks specialized knowledge of mental health services. All the while depriving this young man of the opportunity to empower himself through encouraging access to these services. The reality here is that we are talking about minor crimes that are being committed by people suffering from mental illness so I am always dumbfounded when Mental Health Court kicks a case back for any reason other than that the person does not need the specialized mental health services. The system makes dealing with incompetent cases so frustrating. Attorneys and Judges cannot let an incompetent defendant enter a plea if they are unable to understand the consequences of the proceedings or to participate in their defense. Which makes sense. Once there is a mental health concern doctors are ordered and competency hearings are held. The problem is that when a person is declared incompetent to proceed it does not stop the legal process. Instead it starts a lengthy one. In County Court, the place for misdemeanor crimes, hundreds of clients resolve their cases and move on with their lives while those declared incompetent remain in the system. I can't understand why the State doesn't drop most of these ridiculous charges and instead they spend the time in Court arguing against bail or asking that restrictions be put on mentally ill people before they can be released. A person charged with a misdemeanor has to be found incompetent to proceed for a year, from the day a Court declares them incompetent, not from the date of the alleged crime, before their case is dismissed. Doctors re-evaluate the client at the year-end mark to make sure the person’s competency status hasn’t changed. It’s Sam’s year-end mark and that is why he has been in my office more often this month. We have to meet with doctors who ask him questions such as: Do you know what a defense attorney does? Have you ever been in a fight and injured your head? What is 2 + 1? I know Sam can’t answer those questions and perhaps that is why I was relieved when he shows up to his appointment this week. As usual he was an hour late, alone, and famished. At Sam’s request the first thing we did was to go into my office to my stash of peanut-butter crackers. Next we met with the first of two doctors. If Sam makes it to my office for his second doctor’s appointment and the doctors find Sam incompetent his Trespass case should be dismissed. A year and four months of hiring experts, holding hearings and bringing Sam back and forth to Court all this for being found in the rear of a vacant property. Even if his case is dismissed there is one caveat, the State can bring back the charges if Sam’s competency is ever restored in the future. Summer of '85: Cuba jams Miami radio stations as retribution for the launch of Radio Marti. Reason #1: Twice the fun. Sometimes you have to wonder if Miami Beach Mayor Philip Levine is secretly planning to close down Miami Beach by 11 p.m. and have all residents in bed by midnight. 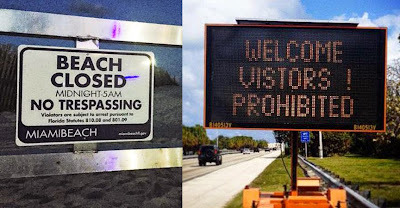 The other day he managed to get Miami Beach commissioners to vote unanimously to drive a stake through the heart of Miami Beach's tourist economy to cut off outdoor alcohol sales on Ocean Drive at 2 a.m.
And now here's an email (embedded below) that Levine sent out today regarding the city's Memorial Day Weekend preps. In the email, Levine says "for more information on the city's detailed Memorial Day Weekend plans, please visit www.respectthescene.com"
Well, I wanted more info, so I headed on over to respectthescene.com. But here at Random Pixels, we don't give up so easily. So I decided to try a few of the "important numbers" listed at respectthescene.com. 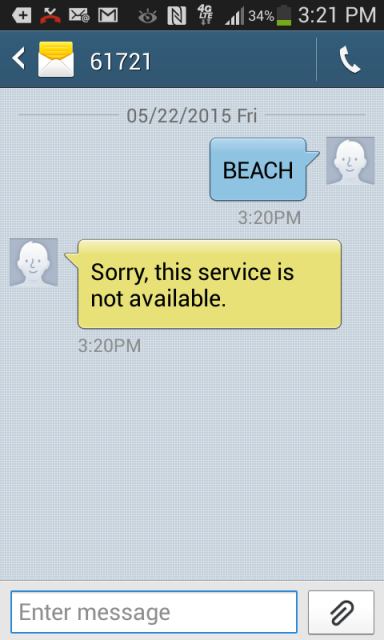 Hmmm, let's try the Miami Beach Tourism Hotline, 305-673-7400. Let's try the number for Miami Beach Information, 305-604-2489. 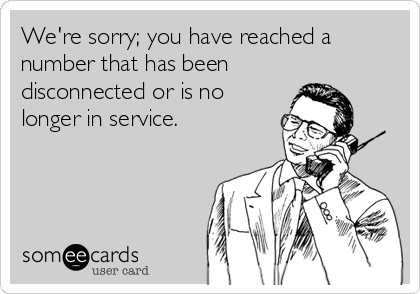 Ring, ring: "Thank you for calling the City of Miami Beach...for questions regarding noise complaints, water leaks, building permits, garbage pick-ups....blah, blah, blah." Yeah, that's the kind of info someone here for Memorial Day Weekend needs. By the way, Mayor Levine does suggest you kick off the holiday weekend by stopping by the Visitors Meet and Greet Center on the MacArthur Causeway - eastbound across from Jungle Island - Friday night starting at 7 p.m.
For your convenience, the center will be staffed by some of Miami Beach's finest who will be more than happy to help you finalize your holiday weekend plans. Have three or four drinks before you arrive. But be sure you leave your styrofoam containers at home. As we prepare to celebrate Memorial Day Weekend, I assure you the City of Miami Beach is working diligently and taking all the necessary precautions to make sure that our visitors and residents have a safe and enjoyable holiday. The City of Miami Beach Police, Fire, and Emergency Management Departments have planned and staffed according to the needs of our residents and visitors. A traffic loop has been created to curb "cruising"
The Venetian Causeway will only be open to residents. You may be asked to show ID's. Lastly, I personally want to thank all our service men and women and their families who have sacrificed so much for our freedom. I wish everyone a fun and memorable Memorial Day Weekend. Thirty years ago today, on Sunday, May 19, 1985, they ran the 7th annual Coconut Grove Bed Race. WTVJ's John Holden covered the festivities. 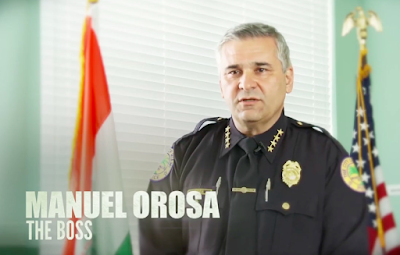 The Miami Herald's David Smiley talked to former Miami police chief Manuel Orosa who said the video is not a recruiting video. However, Miami Police Lt. Javier Ortiz who is also president of the Miami Fraternal Order of Police, says this: "Chief Orosa authorized for that video to be taken. All officers including the female officers were on duty and authorized by Orosa. Everyone is pretending that it wasn't the MPD ever since the FOP pointed out how it exploits our female police officers and damages the image of our law enforcement professionals. As you see in the video, I am shown making an arrest. That video was taken during ULTRA three years ago. When I asked who was taking the video, [Chief] Orosa told me it was for recruitment purposes." A spokesperson for the Miami Police Department declined to answer any questions about the video, instead referring me to Major Delrish Moss, the public information unit's commander. The people in the video below are actual Miami police officers. But is it a recruiting video authorized and sanctioned by the Miami Police Department? Stay tuned for an answer to that. 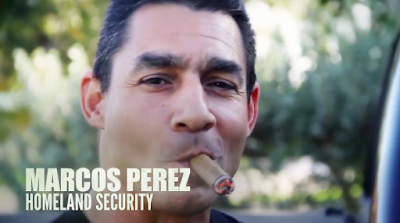 Screen grabs from "The Real Miami Vice"
Miami Fraternal Order of Police president Lt. Javier Ortiz believes the video below shows "what real cops deal with everyday." "While the MPD released a recruitment video exploiting female officers and making us appear to drive Ferraris and helicopters (which ours isn't even working for over a year), this video will give you a taste of what is the typical call for a Miami Police Officer. "There are no glitzy lights or shiny cars. "They're professional men and women that combat crime as well as individuals that no one else will deal with. We expose ourselves and our families to not only violent offenders on a daily basis, but disease. God bless our law enforcement officers." Following last week's revelation that some members of the Miami Beach Police Department used city computers to send hundreds of pornographic and racist emails, Chief Dan Oates today updated his department's policy that governs his officers' use of social media. 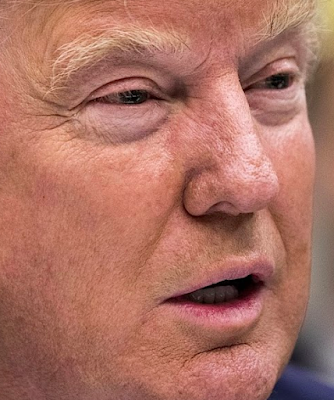 Turns out the policy that's been in place since 2011 also contains this passage: "Employees shall be aware that comments and statements made through electronic media including, but not limited to, the internet and text messaging are openly public and may be available and preserved for anyone to see in perpetuity." Really, Chief, you trust these guys with guns and live ammunition, but they still have to be reminded that anything they post on the Internet can be seen by the public ... forever? Wow! So there you have it, men and women of the MBPD, "If you see something, say something." Better yet, just don't use your city computer to send stupid sh*t! On a related note, I'd like to take this opportunity to remind members of the Miami-Dade Police Department that the county gas pumps you use to fill up your police vehicles are monitored by surveillance cameras. You've been warned. Apparently some of you didn't get the message the first time around. Why Did They Kill Arthur McDuffie? Arthur McDuffie, an unarmed black man was beaten to death by half a dozen white Dade County police officers on the night of December 16, 1979 following a high speed chase through the streets of Miami. His head was split open and the cops tried to cover up what took place. On May 17, 1980 when all of the officers were found not guilty by an all-white jury in Tampa, Miami exploded in riots that left eighteen people dead most of them black. But why was McDuffie, a former Marine with no criminal record, beaten so severely that night and what lessons are to be learned from what happened? McDuffie was beaten for the same reason that has resulted in more recent deaths of black youths at the hands of the police in other cities.. He showed contempt for the police. He offered a finger to the first cop, Ira Diggs, as he ran through a red light. Digs and several other police units chased McDuffie through the streets of Miami at over 100 miles per hour. When he finally stopped on his own, the adrenalin-fueled police officers attacked him with a vengeance. They probably would have mistreated any man who had made them chase him at 100 miles per hour. But, was McDuffie’s race a factor in the savagery? Certainly it was. I doubt that the life of a white man would have been taken so casually. I believe the cops could have identified with a white or Hispanic victim but not with a black one and certainly not with one who had shown disrespect for the police by fleeing or resisting arrest. Some, if not many, police officers harbor contempt for young blacks. Even some black cops adopt the same attitude of disdain for the “low life” they see themselves confronting every day. The hidden racism and contempt which is ingrained in police culture becomes apparent from time to time such as has just been recently revealed in the Miami Beach Police department’s racist e mails between officers. The lesson I take from all of this is that police officers must accept and expect contempt from young blacks. In many instances that contempt is earned. There is no law against showing contempt for a police officer. It’s a bad idea but there is no law against it as long as one cooperates with the police. There IS a law against resisting arrest or fleeing from a police officer. Young blacks who do that take the risk of legally losing their lives. But when a young black man is arrested on made up charges such as happened in Baltimore, that young man’s life is ruined. That arrest record follows him for the rest of his life. In the Baltimore case the cops claimed the man had an illegal weapon when in fact, it was a legal pocketknife. Had he not died in custody he would likely have had problems getting a job for the rest of his life. That is the kind of thing that wrecks the lives of so many young blacks (especially over minor drug charges) and that earns their contempt. The Lesson I take for young black men is don’t resist or run from the police. Arthur McDuffie did that in 1979 and it got him killed. The same could happen to any black man in America today. After thirty-five years it is time for Miami to recognize this history. I sent an e-mail yesterday to Tomas Regalado,the Mayor of the City of Miami, asking that historical markers be erected where McDuffie died (Northeast 38th Street and Miami Avenue and at the place in Liberty City where the first white victims were killed (Northwest 62nd Street and 12th Parkway. I know the mayor to be a fair and reasonable man and I trust that he will take the lead in having the city recognize this history. Dr. Dunn is a retired assistant professor of psychology and former chairperson of the Department of Psychology at Florida International University. 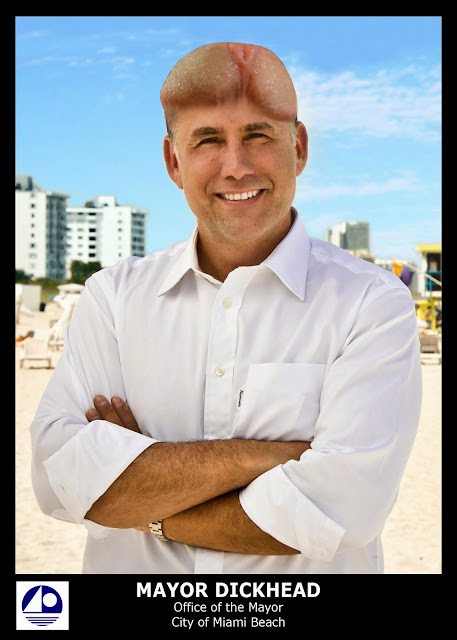 Mayor Philip Levine wants you know that he is serious about cleaning up the Miami Beach Police Department. Levine wants everyone to know that everything that's wrong with the Miami Beach PD happened during PRIOR administrations. That's PRIOR....ALL CAPS! Keep in mind that Levine never showed any interest in how things were run in the city UNTIL he became mayor. Zero interest. Visitors to the Miami Herald's website like "positive" stories, writes Megan Barrow, the paper's audience engagement editor. "Something to keep in mind as you choose stories!" Megan tells the Herald's happy scribes. Francis, our awesome market research analyst, and I took a look at the past 8 weeks of data that we'd been tracking -- uplifting and/or fun stories that the newsroom had been marking with a "+" on Facebook. Anecdotally, people like "good" news. I know that you, at times having made the grave error of mentioning your profession in public, have been admonished that the media is nothing but bad news, and nobody reports good news anymore, etc. 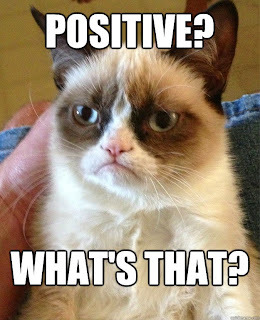 Well, OK. we didn't actually mark that many stories as "positive." 39 out of 1552 stories posted in two months. This isn't scientific, of course; the criteria were totally vague. There could have been more. But what we found was pretty amazing. Compared with the overall average, these 39 positive news stories did way better. - The number of people who interacted with the post (they may have clicked the link to go to MiamiHerald.com, or commented, or looked at a photo, or clicked like/share) was 86% greater. - The actual number of interactions was 84% greater. 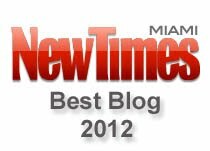 - Of our "fans" (people who have clicked "like" on the Miami Herald page itself), 32% more of them clicked on good news. - A big takeaway was that people who are not "fans" -- people who are much tougher to reach, and who we need to reach -- 147% more of them clicked on good news. That means, random people (so to speak) are either going to MiamiHerald.com, or commenting, or in some way interacting with our stories when the story is "good." So on Facebook, at least, it's a way to show people what we have, and hopefully keep them as readers. Something to keep in mind as you choose stories! It took less than two minutes for Sunny Isles Beach police officers Tracey Cabal and John Childress to rescue an intoxicated man from jumping off the Northeast 163rd Street Bridge. University staff was impressed by Miami Beach freshman Rebecca Rauch-Thane's science fair project, which tested for heavy metal soil contamination in Virginia Key and Key Biscayne. Senate President Andy Gardiner has turned his personal journey as a father to a child with Down syndrome into a legislative mission. The Miami Beach police ran one of those "multi-agency DUI checkpoints" last Friday night on South Beach. Some of the officers who participated in the checkpoint are what's known as "drug recognition experts." "They're looking at the totality of the driver['s behavior], sweat, the pupil dilation, mouth movement..." Miami Beach police officer Ernesto Rodriguez told NBC 6. Rodriguez says officers issued 139 citations for various infractions and made 16 arrests. The arrest of 23-year-old Kiarri Tommy Lee Cook. Seems like Cook is one of those guys who keeps doing the same thing over and over again, hoping each time for a different result. After running a records check on Cook, officers discovered that his license has been suspended 26 times. Cook is what cops refer to as an "H.T.O." ... a habitual traffic offender. It's a felony in the state of Florida to repeatedly and knowingly drive while your license has been suspended. Cook also had some weed in his glove compartment. 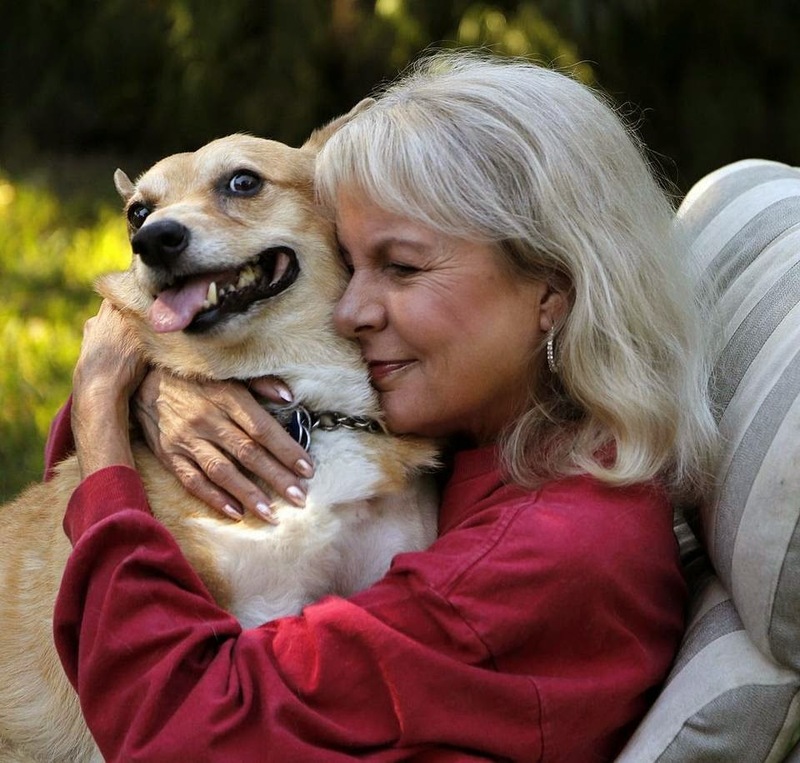 Kelley Mitchell and one of her beloved Corgis. The first time I ever saw Kelley Mitchell in person was in 1992. Myself - and a whole lot of other newspeople - were staking out Jose Canseco's house in Cocoplum. He'd gotten into some kind of trouble the night before and we wanted to speak with him and take his picture. He was having none of that. So we just waited and looked at each other. I don't remember if I ever talked with Kelley that day, but I do remember she was wearing a clingy dress that can best be described as fire engine red. Fast forward eight years to the year 2000 and Kelley is part of a group of journalists staking out the Miami home of Elian Gonzalez. It was sometime after the 6 p.m. live shots and many of the TV types were making dinner plans. Kelley caught my attention because she had volunteered to take a lot of complicated food orders for a bunch of us hungry photographers without so much as a complaint. It was a nice gesture that I somehow remember to this day. Today we're learning that Kelley passed away yesterday at the age of 58. Her passion to tell a story and tell it well drove all of us harder. We wanted to please her. When we did, her praise was thoughtful and genuine. If we fell short, she made sure we knew how to do a better job the next time. As a friend, she'd move mountains if that's what you needed. I wouldn't be where i am today without her mentorship. I've thanked her for that over the years, many times. Today, I'm glad i did. There was a great playfulness about Kelley, both personally in the office and professionally. She could do things on the air and get away with things that were maybe skating along the edge as being a little editorial, but she did them so well that you kind of laughed and said, Well, that's Kelley. 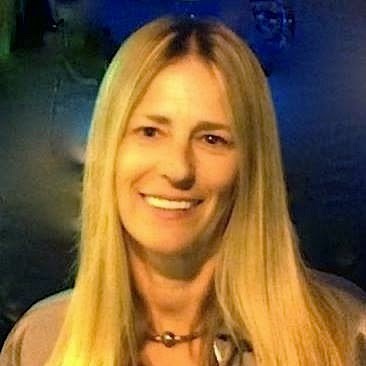 I spoke with Kelley a month or two ago after she was abruptly let go at WLRN. If she was bitter about the circumstances of her departure, she never let me know it. She was way too classy a person to hold a grudge. Kelley's Facebook page is filling up fast with tributes from viewers, friends and co-workers, past and present. You can read them by clicking here. Miami News, May 8, 1985. Two enormous cocaine seizures — one by the Coast Guard in Miami and one by police in Florida City — were made within a three hour period early today in separate incidents. The two tons of coke had a street value of more than $1 billion. That's more than four times the city of Miami's total budget this year. Wednesday's separate seizures came on land and sea. Police in Florida City, Dade's southernmost city, found the drugs after two traffic stops on U.S. 1 in South Dade. The Coast Guard hit it big after a high-speed sea chase through Biscayne Bay. Police suspect the seizures are unrelated. "Nobody here has any knowledge of any connection," Simpson said. "The only way you could tell if they came in the same load is if you sat down and looked at the markings and how they were packaged." The cocaine seized by the Coast Guard was wrapped in red, white and blue plastic and packed in cardboard boxes. The kilo- sized packages were covered with markings, mainly Hispanic names, Petty Officer David Anderton said. The coke confiscated by Florida City was encased in yellow and gray plastic without markings and stuffed in duffel bags. Each seizure was touched off by improper lighting -- a boat running without lights in the Coast Guard bust, a broken taillight in Florida City's case. At about 1:15 a.m., a Coast Guard helicopter on night patrol spotted a boat with its lights off two miles east of Haulover Beach Park. The helicopter dropped down to a hundred feet over the water and pursued the boat through Bakers Haulover Cut into Biscayne Bay. "We had people in fifth-floor condos saying, 'We just saw your helicopter flying down below us,' " Simpson said. Racing at speeds up to 50 miles per hour, the dual-engine boat, a 29-foot Mirage, led the helicopter and two Coast Guard patrol boats on an eight-mile chase. Just north of the Venetian Causeway, three men jumped from the Mirage and began swimming for the sea wall, leaving their cocaine-laden boat spinning in circles, Simpson said. Two of them escaped on foot, and Miami police caught a third man hiding in bushes north of the Omni International Mall. "The guy they caught said he was just out fishing and he fell in," Simpson said. Assistant U.S. Attorney Len Baer identified the man as Raphael Soto, 35, of Miami. U.S. Magistrate Charlene H. Sorrentino ordered Soto held without bond in pretrial detention. On the boat, the Coast Guard found a 9mm handgun and 1,909 pounds of cocaine -- 89 pounds more than the old record achieved when the sailboat Chinook was busted in the Yucatan Strait on April 1, 1984. 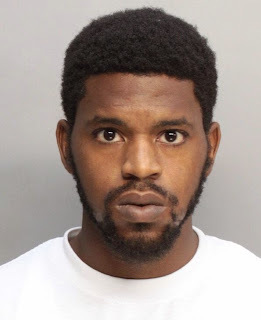 This criminal mastermind snatched a gold chain from a man's neck on Miami Beach last April 30, but returned it to the vicim a few minutes later complaining that it wasn't real gold. 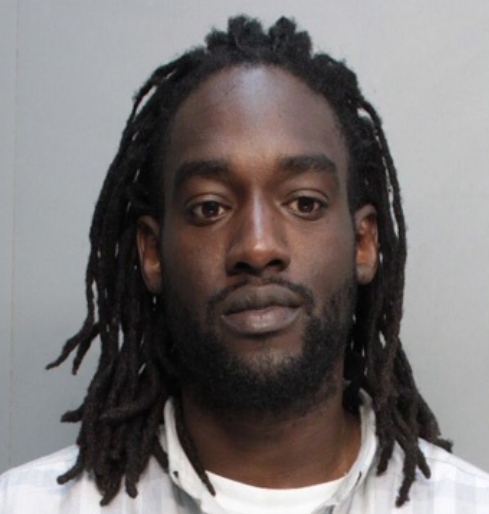 A 26-year-old man is facing charges after he returned a gold necklace that he snatched off a man's neck on South Beach, police said. 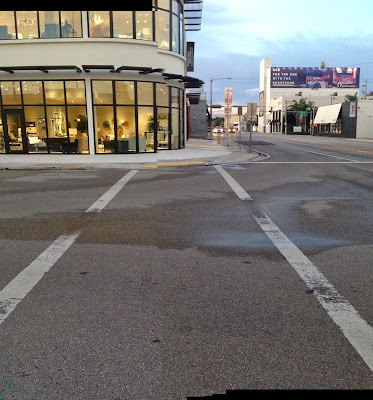 The robbery happened April 30 in the area of 11th Street and Ocean Drive. According to the arrest report, Daniel Palmer was armed with a handgun when he approached a group of friends that were standing on the sidewalk. Police said Palmer snatched a gold chain off a man's neck and ran off. They said he returned a couple of minutes later in a white Merecedes-Benz and told the victim that the necklace was fake. Police said the victim ran toward 10th Street where he flagged down officers and pointed out the car the suspect was in. Police said several marked police vehicles attempted to stop Palmer, but he took off at a "high rate of speed." According to the report, Palmer was eventually taken into custody on the MacArthur Causeway and Bridge Road. Palmer faces charges of armed robbery, fleeing and eluding police and reckless driving. ... checked things out and then left the same way he came in. "We have transformed our business to become 24/7 information specialists, with the ability to deliver breaking news through a variety of digital platforms in addition to our print newspapers." -David Landsberg, the Miami Herald's former publisher, in a Nov. 2012 email to staffers. "I can’t tell you exactly how you’ll be getting your news, but I know we’ll be delivering that news. We’ll be here." -Miami Herald Executive Editor Aminda "Mindy" Marqués Gonzalez, quoted in Ocean Drive Magazine. The Miami Herald's Deadline Miami blog is dead! Or at the very least, on life support. Launched early last year, Deadline Miami promised to keep readers "up to date with breaking news, crime reports, traffic tie-ups, the day's weather and links to the top stories across South Florida." What that usually meant was copying and pasting whatever "top stories" they could find on CBS4. Go to Deadline Miami. The last story was posted FIVE F**KING DAYS AGO. (Good luck trying to find it on the Herald's website.) Yet the blog describes itself this way “Deadline Miami keeps you up to date with breaking news, crime reports, traffic tie-ups, the day's weather and links to the top stories across South Florida.” But when there’s a shooting near an elementary school that sends terrified kids running from the playground, when thieves steal 5k of hair extensions (with one robber being under 10 years old), when a cop car gets stolen...none of that appears on Deadline Miami. It’s, well, Dead. 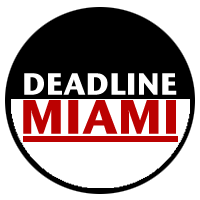 R.I.P., Deadline Miami...we hardly knew ye. Kim Segal was a producer for CNN for 25 years. As I wrote last March, "despite the demands of a full time job in news, [Kim] managed to go to law school and earn a law degree...and then get a job with the Broward County Public Defender's office." On her Facebook page, Kim often posts glimpses into her life as a Public Defender. LIFE AS A PD: I stood in the clothes closet at the Public Defender’s office clueless. I am looking for an outfit for a client but I have no idea what size will fit him. His booking sheet says he is 5’9” and 202 pounds. After a few minutes of rooting through the clothes I realize that knowing his size won’t matter. My client is incarcerated. He needs clothes for his trial, the day we will fight his possession of cannabis charge. My client doesn’t have any friends or family that can drop off clothes at the jail so I have to figure out a way to dress him for his day in court. My last client who needed clothes was not in jail but he didn’t own anything suitable to wear in front of a jury. I ended up going to Goodwill to buy a few things that would fit him. I will never forget my client’s reaction after he put on the button up white polo shirt and the pair of nice khaki pants. He turned to me and told me how good he felt in the clothes. He wanted to keep them. I wanted to let him keep them. But other clients needed them and continuing to buy clothes would be too big of an expense for a Public Defender. The problem with keeping the PD’s closet in stock is the clothes we give to our in custody clients. After we drop clothes off at the jail we rarely see them again. The client wears them to trial and after they either get released before signing the clothes back over to us or they are sent to do state time before the clothes are returned. The PD’s clothes closet on this day is neat, someone had been in there lately and straightened it up. There was a decent selection of shirts but it’s the pants I had trouble finding. It turned out that not knowing my client’s pant size didn’t matter since there were only a couple pair of pants available. These pants were so old they didn’t have tags with sizes in them. I am curious, what does your closet look like? I am sure it’s better than the one at the PD’s office. Are there any pants, suits or ties that spend more time on a hangers than on your body? Have things been in there so long that you are clueless about what still fits you? Please, in the name of justice or in honor of spring cleaning, whatever the reason send those clothes my way and I promise they will be put to good use! If you can help her out, get in touch with her on Facebook, or if you don't have Facebook, send me an email and I'll forward it to her. 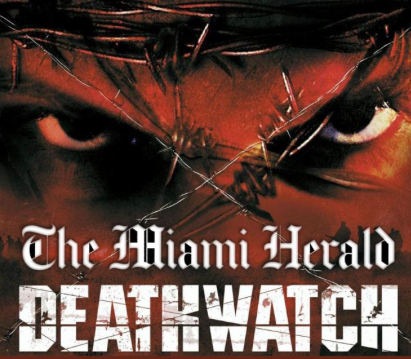 Looks like someone decided to have some fun with this headline posted on the Miami Herald's website late yesterday. But then someone else said, "Fun? We'll have no fun at our newspaper!" This is what the headline looks like now. And they can't figure out why no one buys their paper anymore.